THE HEROESONLINE BLOG | HEROES WEB STORE :: NEW ITEMS! HEROES WEB STORE :: NEW ITEMS! Lots of new items are available in our web store. Take a look and see what strikes your fancy! 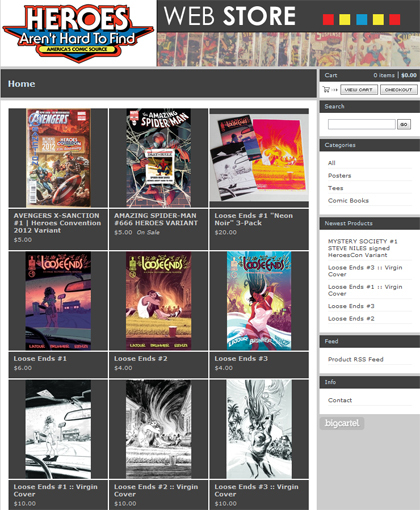 There are Heroes Exclusive comics, HeroesCon T-Shirts, hard to find Loose Ends issues and more! Look for more items in the coming weeks and please let us know if there is anything you would like to see in the store! Click the image to start shopping! Thanks!